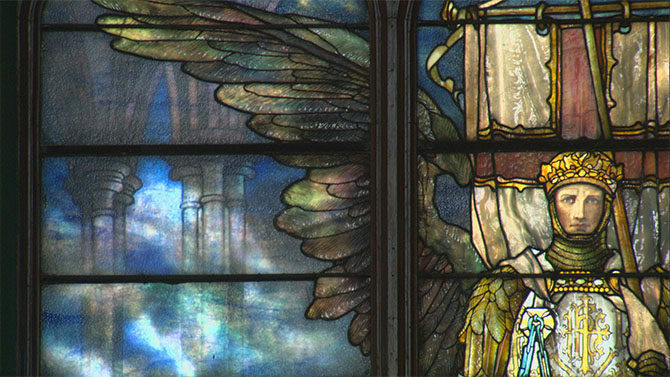 "Sacred Spaces of Greater Cincinnati" reveals the architecture and art preserved in the area's churches, temples and mosques. This one-hour documentary, originally released in 2008, combines expert commentary with High Definition video and a beautiful soundtrack for an introductory look at changes in sacred architecture from the prehistoric period through the 1800s to the present day. "Sacred Spaces of Greater Cincinnati" was written, produced and directed by Meg Hanrahan, owner, Megrahan Media, who is also a Trustee of Voyageur Media Group, Inc. Hanrahan's public television media credits include "Cincinnati Parks: Emeralds in the Crown," and "A Force of Nature: Lucy Braun," a one-hour documentary now in production. She has a BA from the Union Institute and University, and serves as as an adjunct instructor at the University of Cincinnati Blue Ash College in the Electronic Media Department. Free with $5 suggested donation.